We live in the information age, and every day, we generate tons of data. Making sense of that data has emerged as a lucrative pursuit for many businesses. To achieve this, industries across the board are turning to big data analytics and data science. 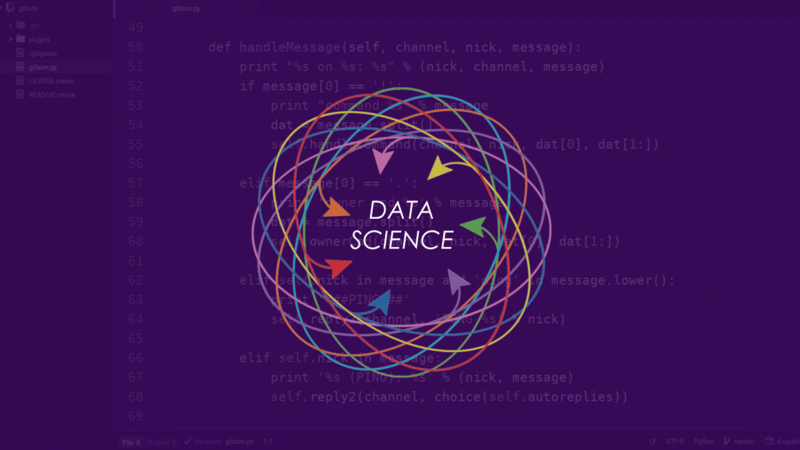 Data science provides a means through which businesses can translate the vast amounts of data available to them into usable information through a scientific approach. Data scientists have the requisite knowledge to apply statistical algorithms to make sense of large sets of data. These statistical algorithms are implemented in several well-known programming languages with a proven fortitude for working with sets of data that, in most instances, go well beyond a few gigabytes. If you learn and master one of these 6 best programming languages for data science, you join a select number of professionals who command some of the highest salaries in the labor market. Moreover, the Harvard Business Review declared data science as the sexiest job of the 21st Century. Let’s take a look at 6 of the best programming languages for data science you can learn today and kick-start a lucrative career in data science. In the battler of the best data science tools, Python leads the pack. The language is the mainstay for general programming tasks such as desktop and web applications development. What makes Python an attractive choice for data scientists is its readability and productivity. With Python, you have access to a range of data analytics libraries through the Python Package index such as the popular NumPy and SciPy modules. These two modules allow you to implement numerical routines on multi-dimensional arrays and matrices and perform computations of signals and images which are common tasks in data analysis. There are other numerous Python libraries that make data analysis simpler such as the Natural Language Toolkit (NLTK) that allows for statistical analysis of natural languages. The sheer number of Python libraries dedicated towards data science makes the language an obvious choice for beginners and professional data scientists. When Ross Ihaka and Robert Gentleman designed the R language, they did so with the goal of designing a better and user-friendly way of doing data analysis, statistical and visualization computation on large sets of data. The language’s foundation in statistics and data visualization has seen it gain rapid popularity in commercial data analysis, and therefore an obvious choice for data scientists. For beginners, the learning curve for R is simplified by its active and helpful user community, extensive documentation, and a plethora of R functions that simplifies complex data analysis routines. Developed by Jack Little, Moler, and Steve Bangert, the founder of MathWorks, MATLAB has etched a name for itself in the world of technical computing. It is more than a programming language as it brings together computation, visualization, and programming into a single environment. That makes MATLAB an excellent tool for data analysis, exploration, and visualization without the need for external libraries or modules. In fact, MATLAB has been the main data analysis tool for the academic community for the past few decades. Its proven track record makes it an excellent choice as for the fledgling data scientist. As one of the oldest and most used languages in the world, Java is must for aspiring data scientists. Chances are that the organization that hires you to work on a data science projects already uses data in its infrastructure. That would mean your statistical models must be in Java for interoperability. Moreover, there are popular Java frameworks dedicated to data analysis, machine learning, and artificial intelligence. These frameworks such as Apache Spark, Hadoop, and Hive are increasingly popular in the commercial space making Java one of the most in-demand language for data scientists. 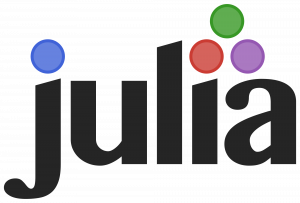 Julia is another programming language that was developed from the ground up for data science. The language is geared towards scientific computing, data mining, machine learning, and parallel computing. That makes Julia one of the fastest languages for all tasks a data scientist would want to perform on large sets of data. In a nutshell, Julia addresses any shortcomings common with other programming languages not specifically designed for data science. Scala rise to prominence in the data science circles came after the release of Spark, a data processing engine written completely in Scala. While Spark allows for the intuitive collection, cleaning, processing, and visualization of data, code written in Scala executes faster. That means you can analyze large sets of data faster compared to other languages. Additionally, writing Scala code is relatively easy due to its simple syntax and making it easy to maintain large repositories of Scala code. Learning these 6 languages will jump-start your career in data science. While there is no specific order to this list of programming languages for data science, you may want to learn more than one language. This will give you the versatility and competence as a data scientist. Which is the best college in Kolkata for programming language courses.. This is vijaykumar, am from non- IT background , but now am interested on IT , so now am started to learn AWS and Devops , kindly advise is it correct or not.